Julia Louis-Dreyfus: Will you be my cougar? 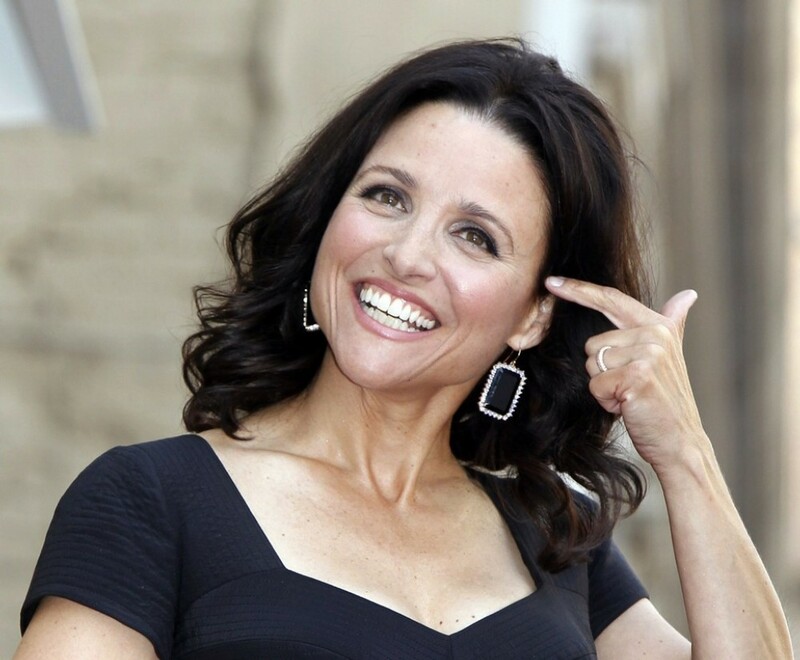 If I had to choose a cougar, I would pick Julia Louis-Dreyfus without blinking. Not only is she is of the funniest woman on television, she is one of those kinds that get sexier with age. Ever since she got her star on the Hollywood Walk of Fame, I have been thinking of several places where I can put a star or two on Julia. Julia Scarlett Elizabeth Louis-Dreyfus is an American actress and comedienne, widely known for her sitcom roles in Seinfeld and The New Adventures of Old Christine. She rose to prominence as one of the regular cast members of Saturday Night Live in the early 1980s. In 1990 she was cast in the role of Elaine Benes on the NBC sitcom Seinfeld. Her performance over nine seasons earned her an Emmy Award, a Golden Globe Award and five Screen Actors Guild Awards. In 2002, she and her husband developed the series Watching Ellie, which lasted two short seasons. After playing recurring roles on programs such as Curb Your Enthusiasm and Arrested Development, she earned her second Emmy Award as Christine Campbell in the sitcom The New Adventures of Old Christine. The series is now in its fifth season on CBS. Louis-Dreyfus recently received a star on the Hollywood Walk of Fame due to her contribution to the broadcast television industry. Lady Dreyfus Is the most sexiest women on National Tv today.Bar none.